Although the Attorney General's Office cannot control gas prices, it has an important role to play in ensuring a competitive environment that is free of illegal price manipulation. 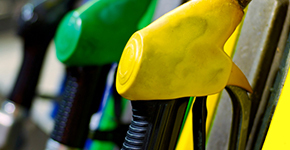 Over the past several years, gas prices have steadily increased, both locally and on a nationwide basis. Many consumers are concerned about this trend and want to know why gas prices have fluctuated so extensively in recent years. To help answer this question, the Attorney General's Office has compiled two resources for consumers: The Antitrust Quarterly Gasoline Report and the 2008 Gas Price Study. The Antitrust Division regularly monitors and collects gasoline pricing information to determine whether price increases indicate possible anticompetitive behavior or reflect normal market forces. The division publishes these figures on a quarterly basis in its Quarterly Gasoline Report. The Quarterly Gasoline Report discusses circumstances unique to the West Coast and Washington that potentially impact the price of gasoline. It also addresses efforts by the Attorney General’s Office to keep the marketplace free of collusive and deceptive practices and outlines the basic market forces that affect price fluctuations. The Attorney General’s Office concluded a year-long study of gas prices in Washington state in spring of 2008. The study was comprised of two phases: Phase I was a fact-finding stage focused primarily on gathering current and historical gas prices from around the state. Phase II analyzed the various factors affecting pricing patterns in the state and also addresses potential market anomalies. To complete the study, the Attorney General’s Office worked with University of Washington economist Dr. Keith Leffler and met with both industry participants and experts. The Gas Price Study is the state’s most comprehensive investigation of gas prices since 1991. The Federal Trade Commission and the U.S. Department of Justice have also substantially increased efforts to investigate possible antitrust violations. You can find more information on the FTC's website. How can the public help enforce a fair marketplace? Consumer tips can help enforcement agencies identify unethical and suspicious corporate behavior when it occurs. While illegal price-gouging may occur in a post-disaster situation where a supplier takes advantage of shortages, it does not necessarily occur in non-disaster situations involving regional price disparities. If you suspect a business is making an unconscionable profit in light of all circumstances, keep your receipts as potential evidence and file a complaint with our Consumer Protection Division at 1-800-551-4636 (call center hours are 10 a.m. to 3 p.m. M-F) or www.atg.wa.gov/file-complaint. Complaints about price-fixing or other antitrust violations can be filed with the Antitrust Division.